That's right. A GIVEAWAY. 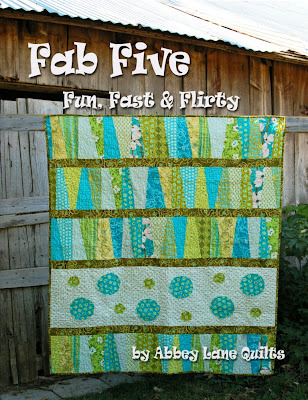 We have been waiting for today to introduce you to our newest book, FAB FIVE, Fun, Fast & Flirty, and to give away 5 COPIES, one each to five winners. First, the book, then at the end, how to win a book. Then, PRETTY POSIES with 16 scrap pieces. Next, for summer, STARS AND STRIPES with 8 fat quarters. 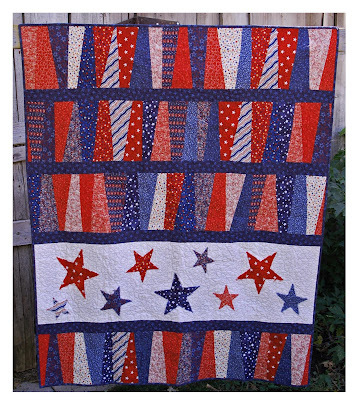 Next, STARS AND STRIPES with 16 scrap pieces. 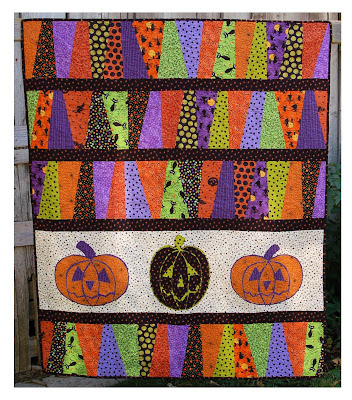 For Halloween, SPOOK ALLEY with 8 Fat quarters. And SPOOK ALLEY with 16 scraps. 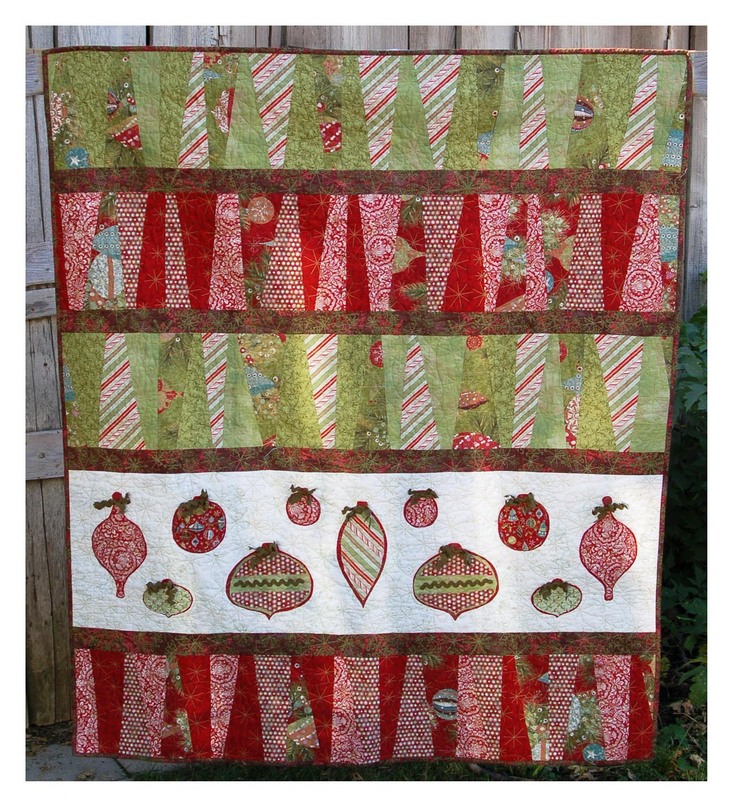 And just in time for Christmas, we have HOLIDAY HOOPLA with 8 Fat Quarters. 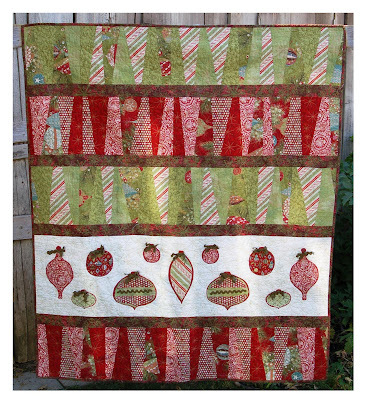 And HOLIDAY HOOPLA with 16 Scraps. 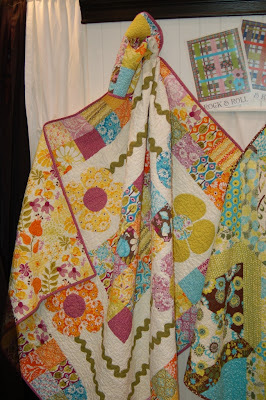 All the quilts have raw edge appliques. 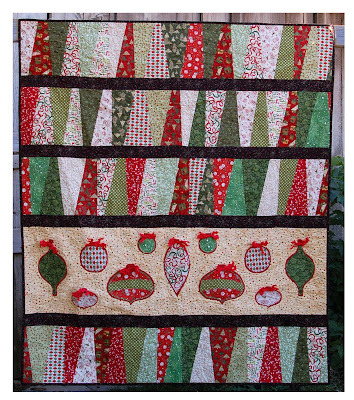 The Christmas quilt has ornaments that you can decorate with ric rac, button, jewels, whatever you like. 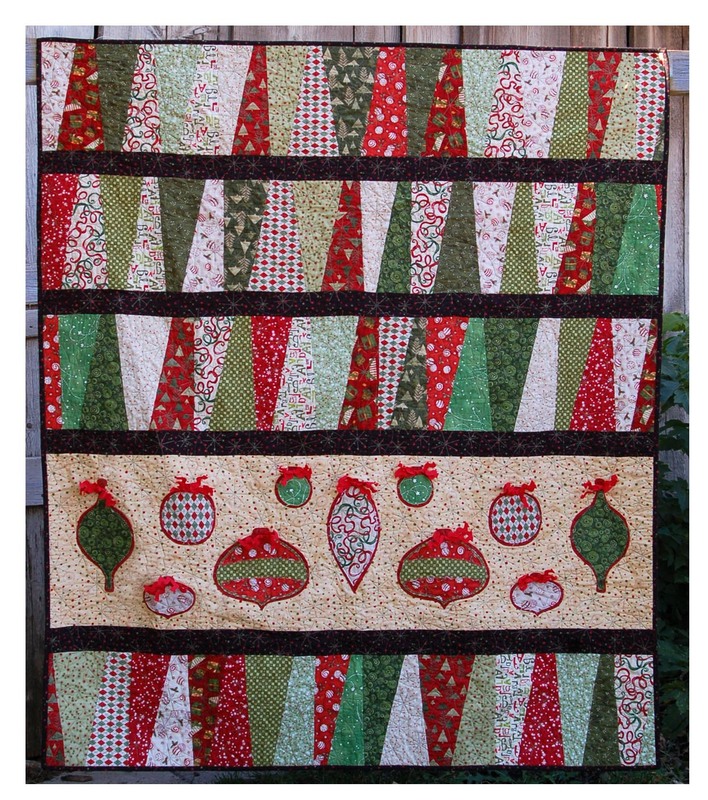 And if all the holidays weren't enough, we had the bonus cover quilt, LOTSA DOTS. The finished size for the quilts is 50" x 60", a perfect lap quilt. 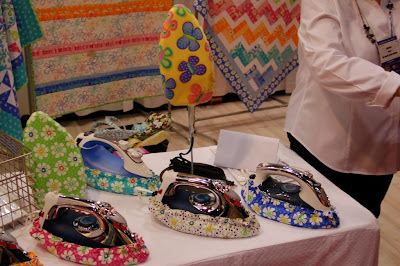 The are fast to cut and sew, and fun to keep or even give away. You will want to make them all. So, now for the giveaway. We have several ways to get chances. The more chances you have the better your odds. 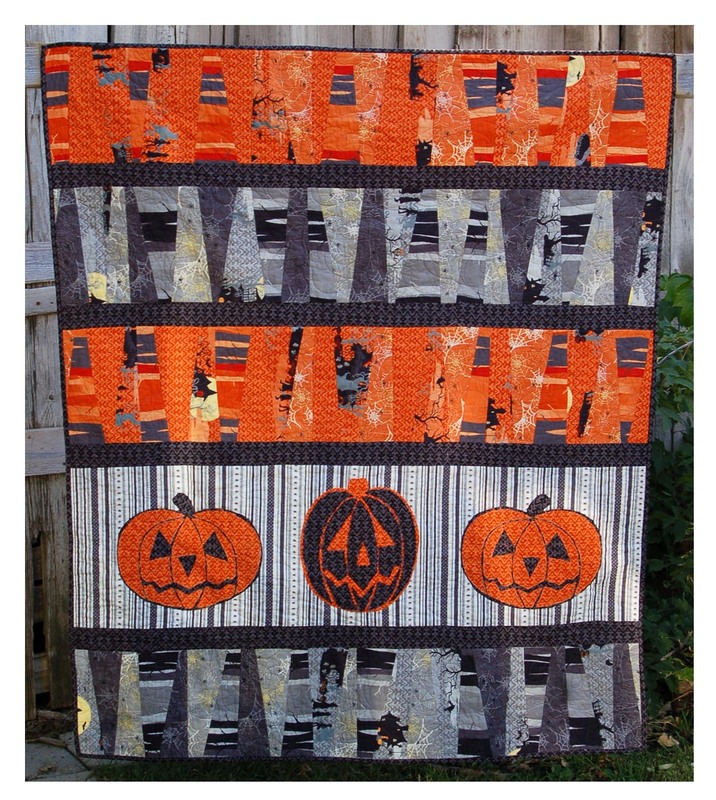 First: Leave us a comment and tell us which quilt is your favorite. Second: Sign up as a follower. 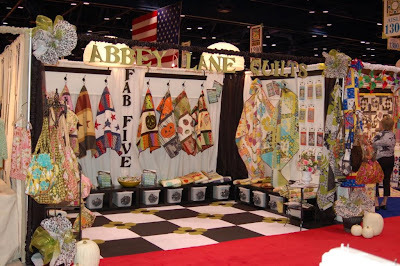 Third: Be our friend on our facebook page where you get updates and quick info, http://www.facebook.com/ and search abbeylanequilts. That's it. It is almost as easy as making a FAB FIVE quilt. If you want more info, head over to our website http://www.abbeylanequilts.com/ where we have the book for sale for only $18.50. 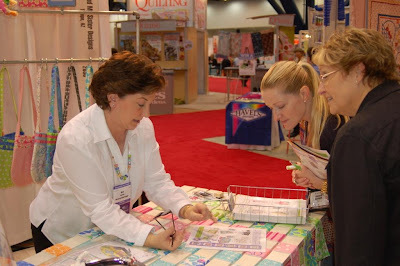 It includes color pictures of all the quilts and full size templates. 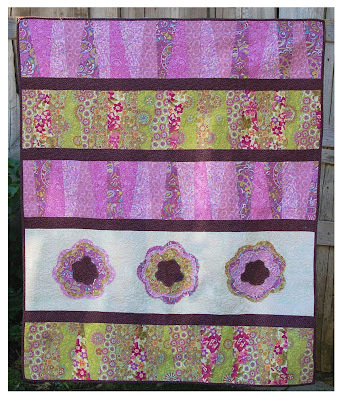 Check out all the other new patterns from market on our Pattern Preview page. Can't wait to hear from ya'll. P.S. We will anounce the winners next Monday. Started snowing on Saturday, and today is the big finally, the BLIZZARD of 2010. Lots of wind, blowing snow, going below zero on Thursday, and supposed to get 12 inches of snow tonight. So what to do, BAKE of course. My husband asked me to bake up some goodies to take to various people, but what to you make when everyone is already making pie? 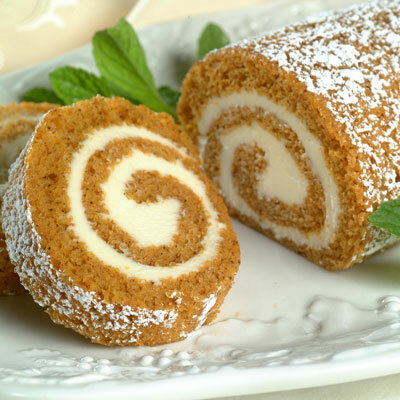 You make a pumpkin roll. PREHEAT oven to 375 degrees F. Grease 15 x 10-inch jelly-roll pan; line with wax paper. Grease and flour paper. Sprinkle towel with powdered sugar. BEAT cream cheese, powdered sugar, butter and vanilla extract in small mixer bowl until smooth. Carefully unroll cake; remove towel. Spread cream cheese mixture over cake. Reroll cake. Wrap in plastic wrap and refrigerate at least one hour. Sprinkle with powdered sugar before serving, if desired. One of the best parts of Market is catching up with all our friends. While we keep up-to-date through their blogs, it is still not the same as being able to give them a big hug. We are starting to get lots of friends, so today's tour will be of the Moda Family. They were always helping and teaching. 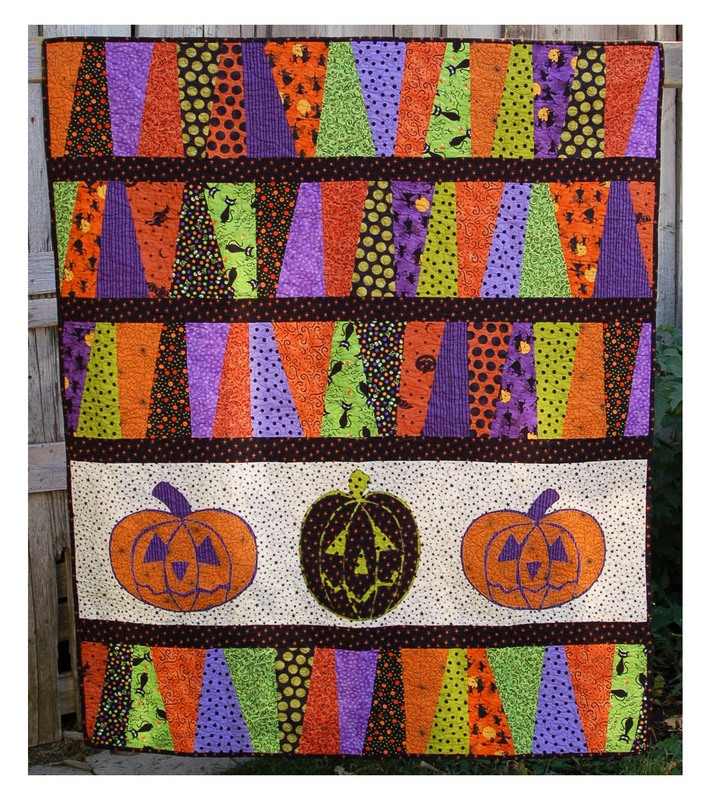 They also had a great new pattern. 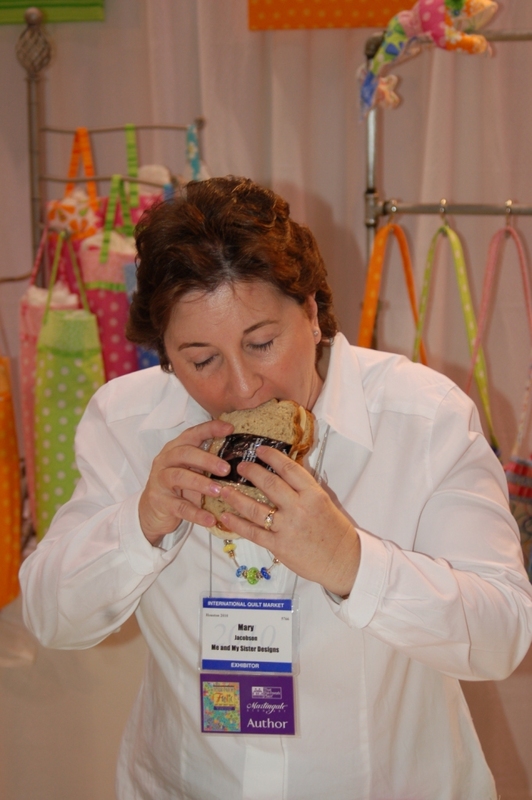 Janice did her best to grab an already made one, but to no avail. Aren't they cute. I am sure all the info is on their website. They won 2nd place for booth decorating. Way to go. 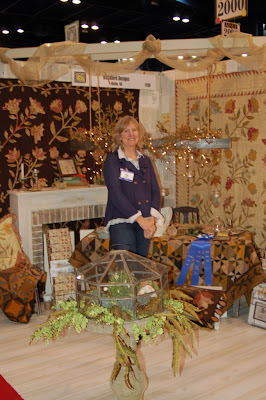 Next door was Blackbird Designs. One of our very favorites. 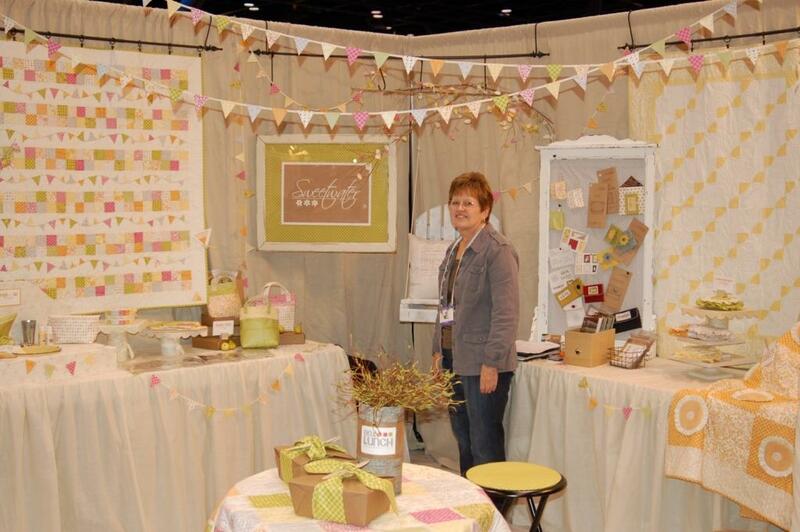 They won First place for booth decorating. 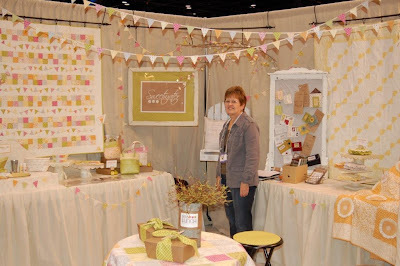 See all their market fun on their blog, http://blackbird-designs.blogspot.com/. ﻿﻿﻿ Next on our list was Kate Spain. 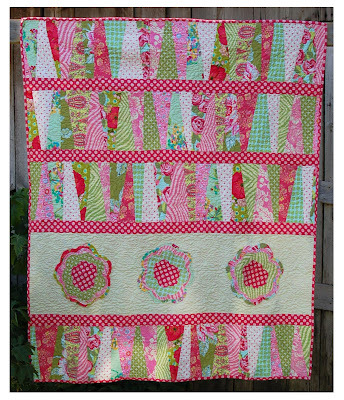 We adore her fabric, so much so that we made sure to make a new quilt design using her latest collection, CENTRAL PARK. 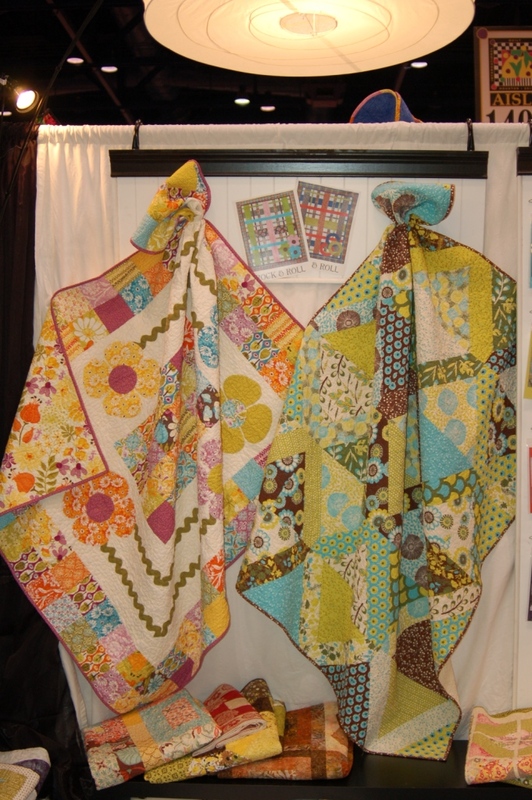 Here is her booth and our new quilt GOT A FEELING, pattern available soon. Kate is a really sweet lady. 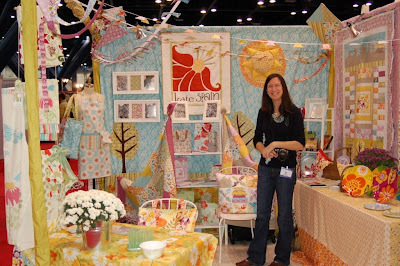 Get to know her on her blog, http://katespaindesigns.blogspot.com/. So bright and cheery, just like her fabric. 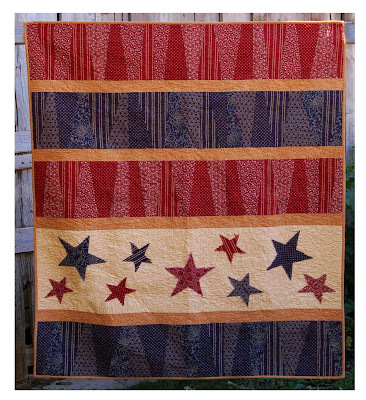 Here is our quilt, GOT A FEELING, made from Central Park. Charm Squares, flowers and large ric rac. Could it get any better? 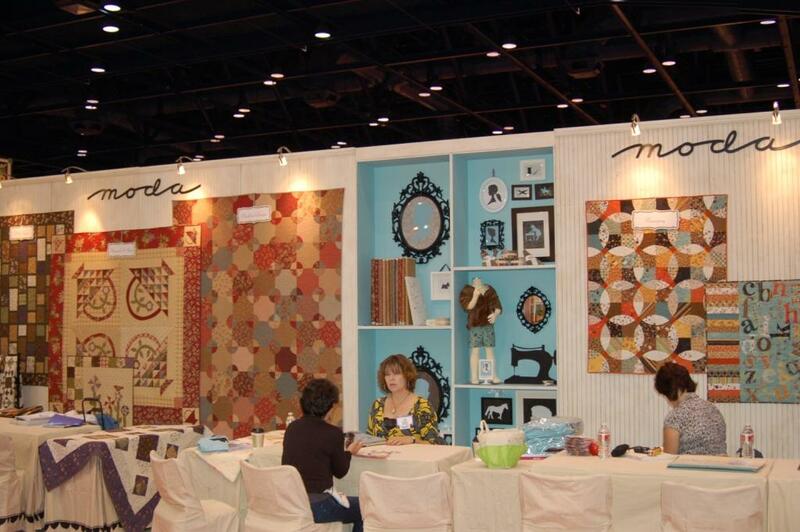 Last, but not least, the main Moda area. 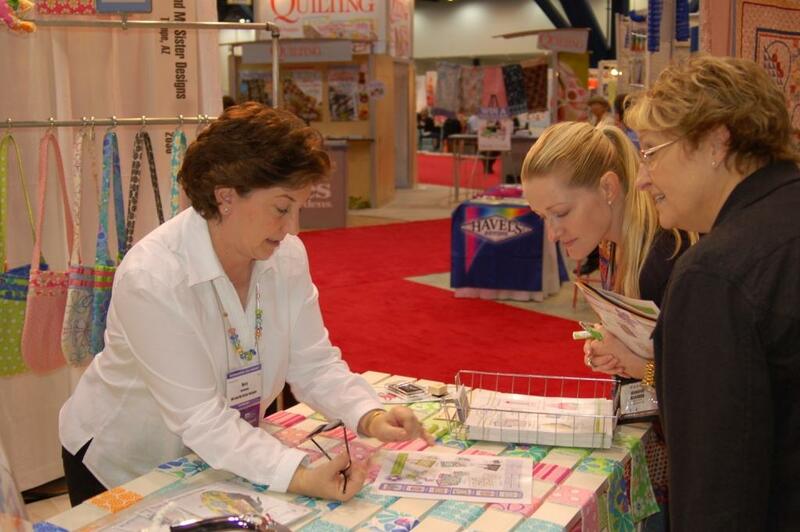 They have these huge walls and they fill them with lots of beautiful quilts in all the new fabrics. 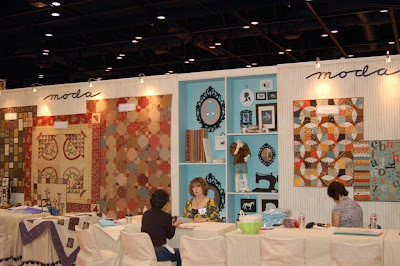 Check out the two quilts on the right. They are Basic Gray's new collection. So ﻿﻿﻿﻿that ends the Moda tour, but wanted to put up two quick patterns. 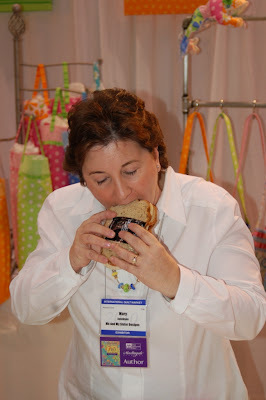 There are two of our newest, we debuted them at market and they were a big hit. 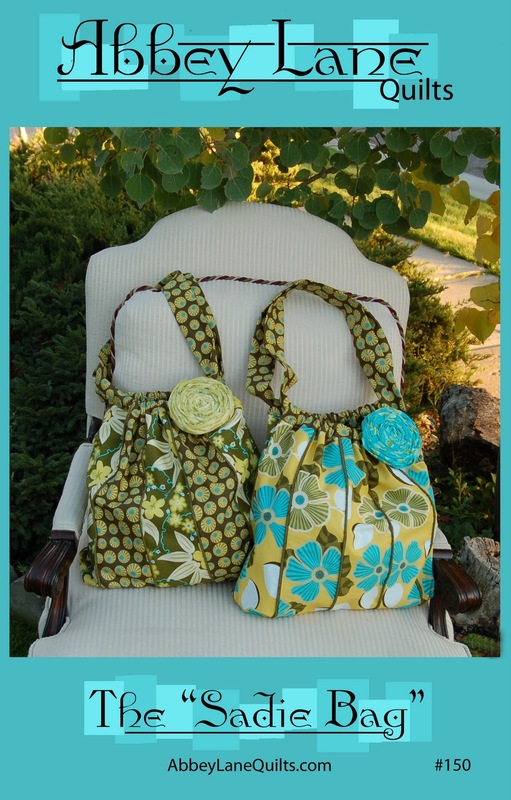 The first is a bag pattern and the second a book. We will be having a special contest and giveaway with the book in a couple of weeks. 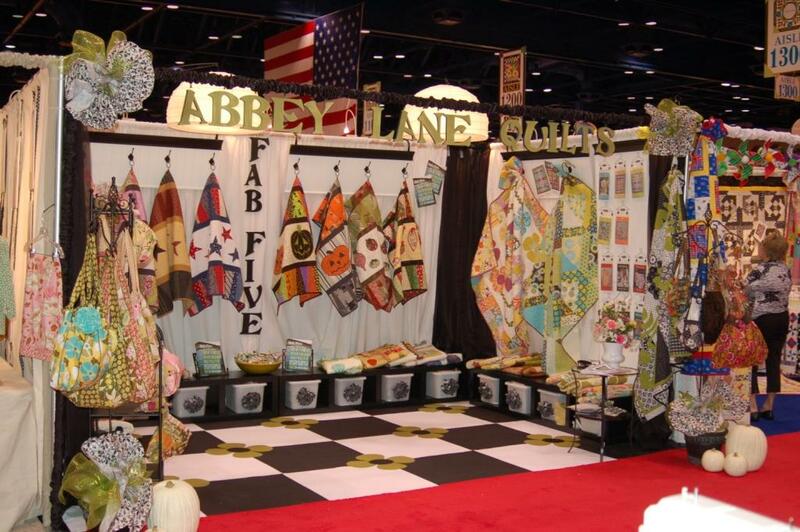 For now, head over to the website and you can see all the details, http://www.abbeylanequilts.com/. 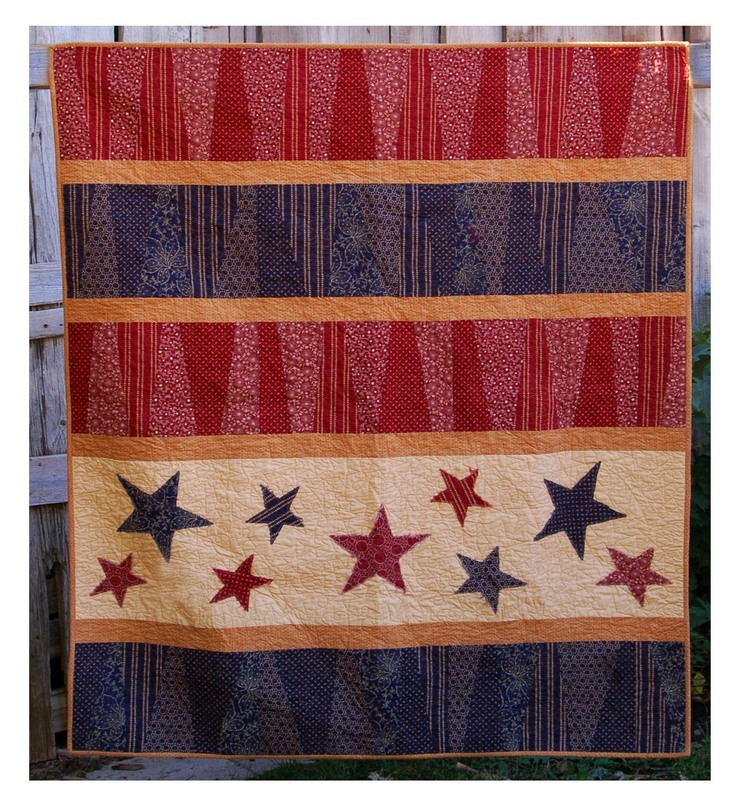 Nine quilts all in one Book. If it feels like a whirlwind, you got a quick taste of what market is like. We have lots more friends and pictures to share. Check back soon. After Thirteen days in Houston I made it home. I was greeted by snow and cold. Janice sorta went home, she headed to Missouri where they have a place in the country. What an adventure. First we had market. It is always so fun to catch up with all our friends. Twice a year just doesn't seem enough time. I took pictures of many of our favorite booths, will post those in a couple of days. 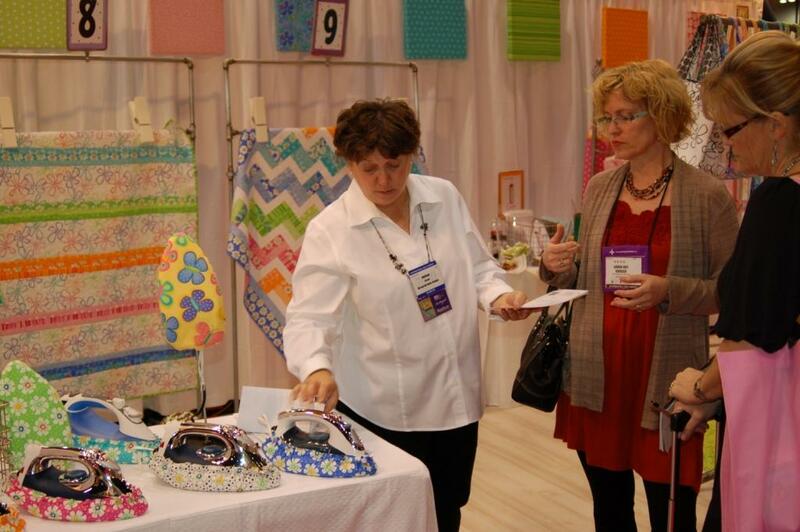 Here are a couple of pictures of our booth. 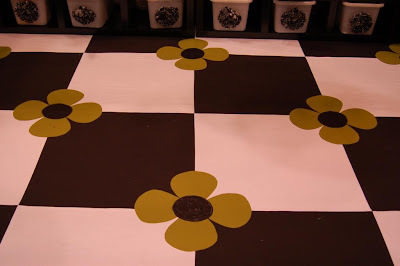 Check out our floor. We had so much fun with it. 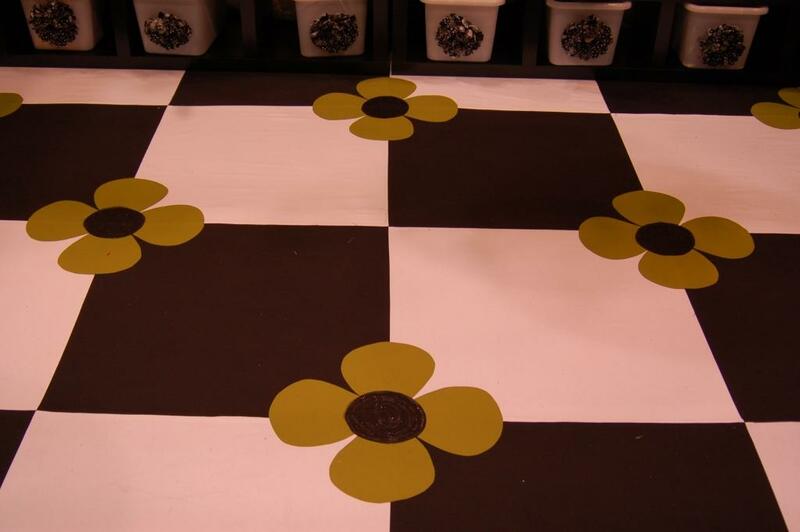 Giant 2 1/2 foot black and white squares with our giant, signature green flowers, and sparkly black centers. With two big shows in Houston, we needed help, and we were so lucky that Janice's niece Katy joined us. She was amazing. 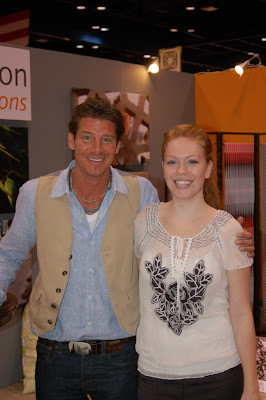 I think her highlight of the show was meeting TY PENNINGTON. He has a new fabric collection for Westminster. Gorgeous Fabric, Gorgeous Guy, and GORGEOUS KATY. Lot's more to follow including the new book, FAB FIVE, and our fabulous new bag, THE SADIE BAG.